Precious fireworks: star sapphires for the 4th. You are here: Home / Jewelry / Bracelets / Precious fireworks: star sapphires for the 4th. Today is the U S of A’s birthday. I’m not really one for going on and on in a nationalist fashion (and, really, I’m not always thrilled with my country and/or its Supreme Court), but you know what I do always love? Holidays. Fireworks. And thematically appropriate dressing. I’m dedicating today to star sapphires. The technical term for the star of light on these beauties these is an “asterism.” And it’s gorgeous. 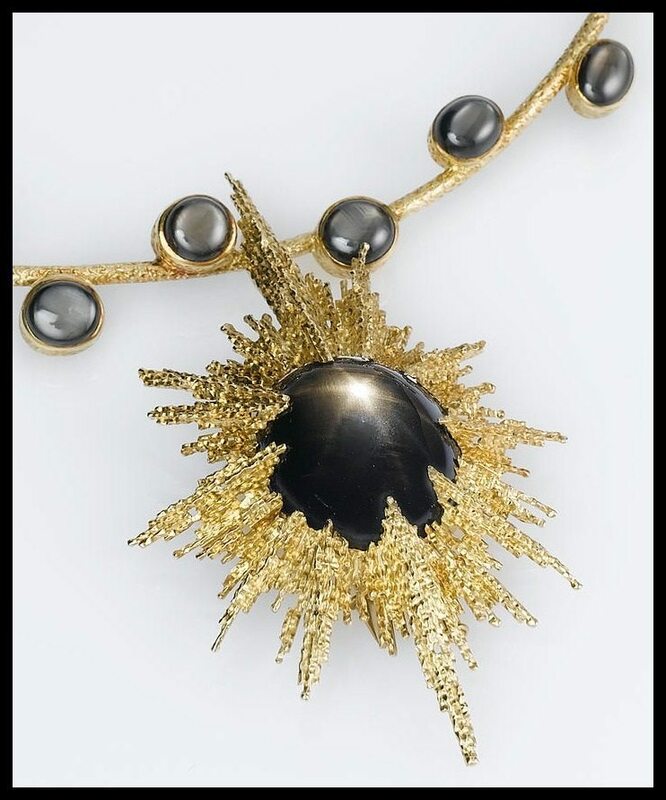 This glorious thing is a a black star sapphire necklace by Andrew Grima, circa 1975. So fabulous. 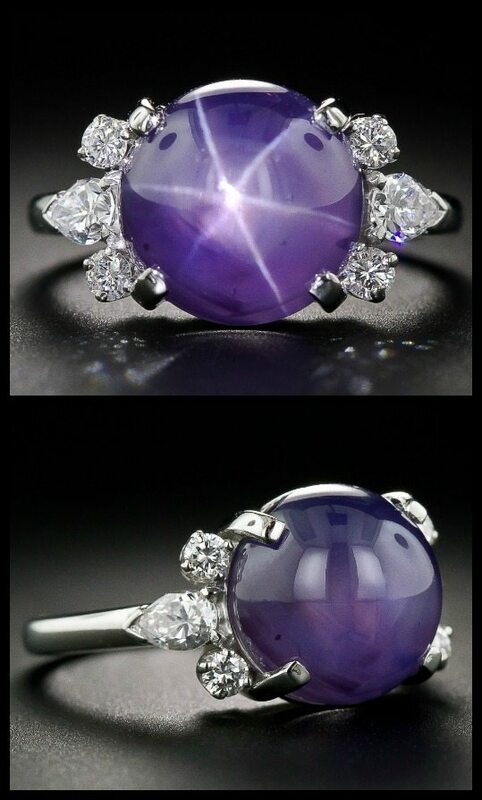 This Art Deco ring is one big firework: a 32 carat star sapphire set in platinum with diamonds, circa 1935. Okay, these earrings are cheating. 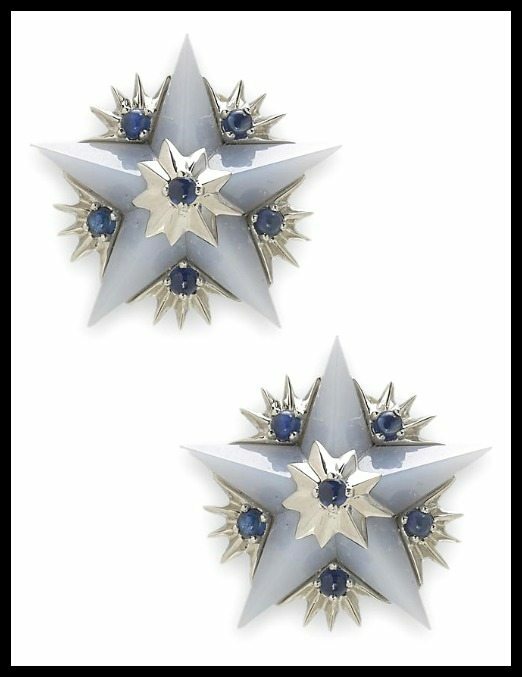 They’re chalcedony stars with sapphires, not star sapphires. But they’re festive and they’re Schlumberger for Tiffany & Co., so I couldn’t resist. How fabulous is this chunky star sapphire and diamond cluster ring? Also, I just learned from Google that “star sapphire” is apparently also the name of a ladysuper hero who likes to wear pink and show a lot of clavicle. 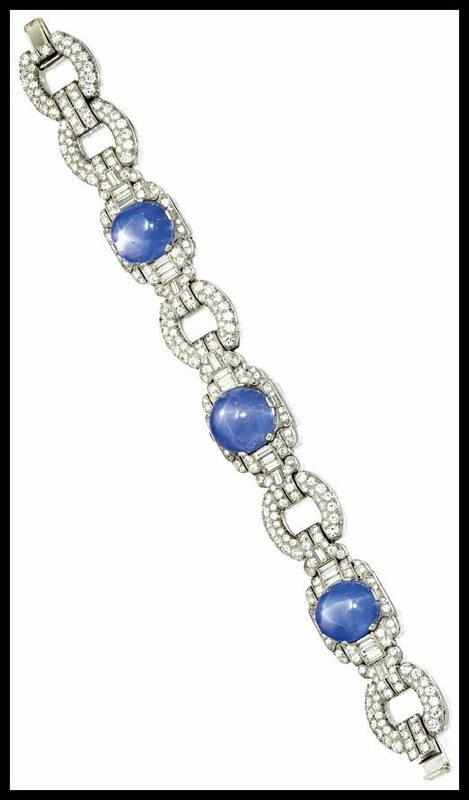 I have to show you an Art Deco diamond bracelet or you won’t know whose blog you’re reading. 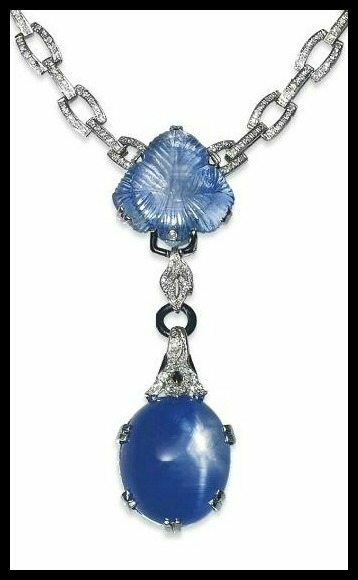 This beauty is from 1930,with 50.00 carats of star sapphires and 9.25 carats of diamonds. 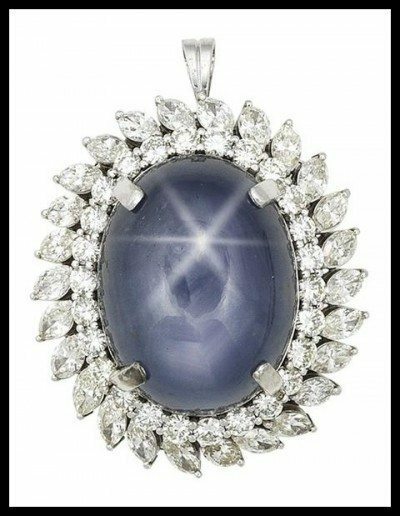 How about this star sapphire and diamond pendant? Simpler than some of the others, but still spectacular. 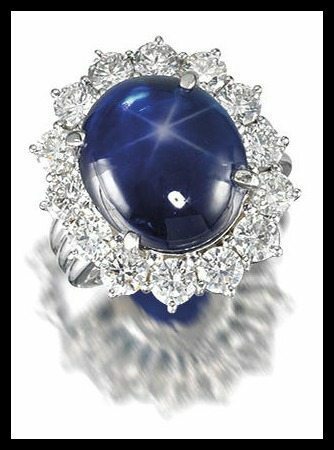 Here’s one that’s currently for sale at Lang Antiques: this one’s a delicious, cornflower blue star sapphire in a gorgeous 1930’s Art Deco diamond setting. Sign me up. 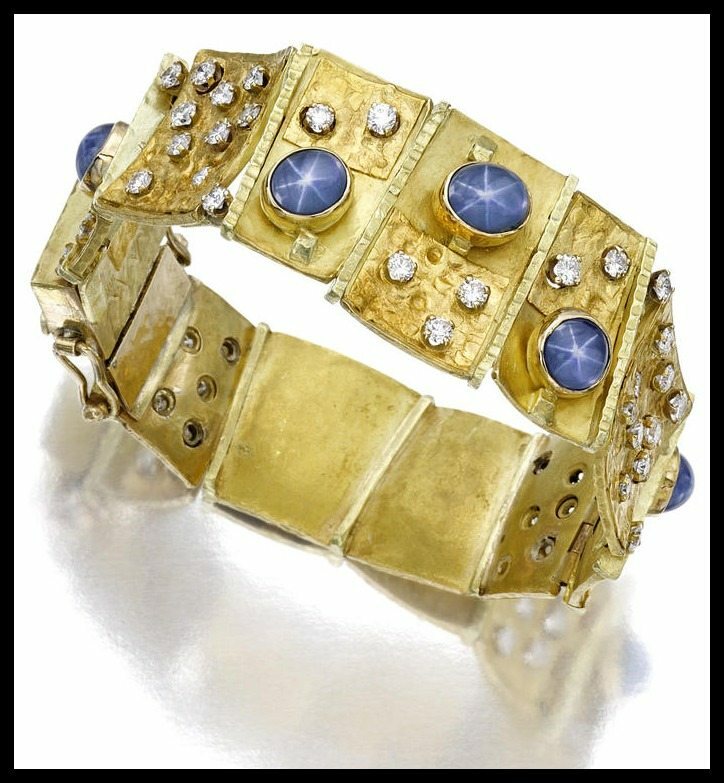 This gorgeous Mary Kretsinger bracelet features diamonds and star sapphires set in chunky textured gold links. For when you want to wear lots of little fireworks instead of one big one. 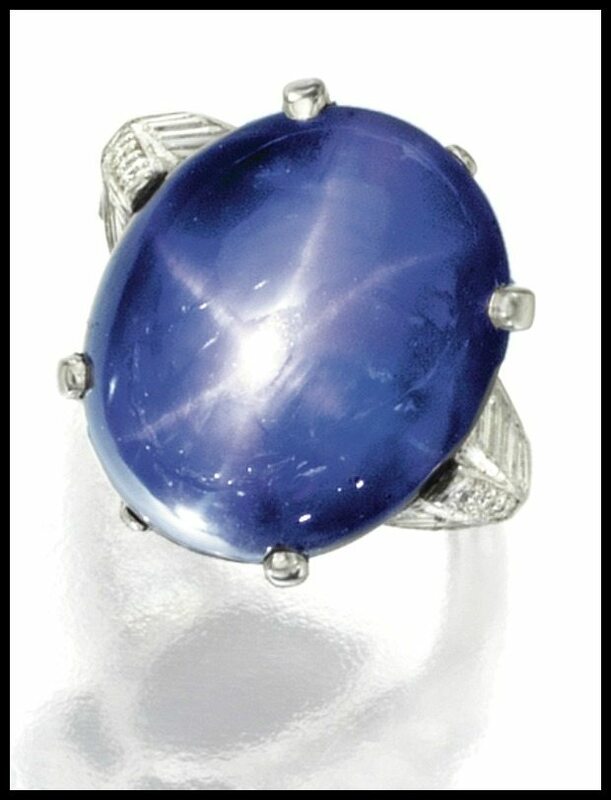 Another that’s for sale at Lang: an 11 carat stunner of a star sapphire set with diamonds by J.E. Caldwell. I hope you all have a marvelous day today, my darlings, weather it means anything to you or not. Put some fireworks on your fingers. Please see the individual descriptions above for source links. All images and info are thanks to the original source of each item. Grima and black star sapphires! Yum yum yum yum yum! Trust Grima to give a shunned, not expensive stone the setting and artistry to make it’s beauty pop. That’s a WOW! <3 those Lang rings! Just Divine!